We are an Australian company established with the aim to make shopping for pet essentials Easy, Reliable and Affordable. To this end, we have designed a user friendly online store that promises an easy and enjoyable shopping experience. As our name suggests, we offer all the leading brands of flea and tick treatments at affordable prices and our racks are stacked high with a wide range of food supplies for canines and felines. We offer the lowest price online and to further your savings we offer free shipping on all orders. 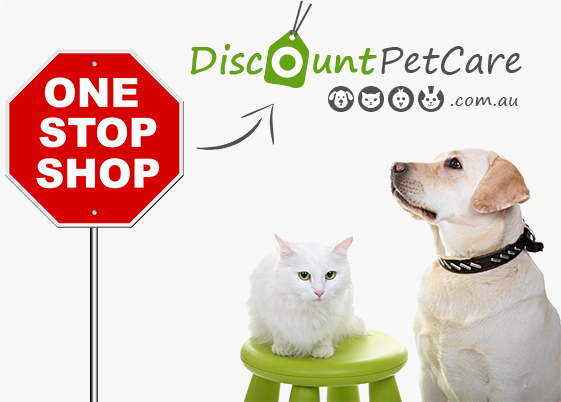 At Discount Pet Care, we understand our customer’s concerns and the need to provide a safe and secure shopping environment. We guarantee that all our products are genuine & top quality brand name products. Our site is supported by our trained and experienced Australia based call center team to ensure quick and timely resolution and support.